One quiet Nashville evening back in '66, songwriter John D. Loudermilk walked into a small club called the Briar Patch. Up on the bandstand was what looked like just another of the thousands of teen age rock bands of the era. When they started to play, Loudermilk could tell they weren't so typical after all. The two front men were both blond and very intense. One played a trebly, stinging slide guitar; the other sang in an anguished, world-weary voice. John D. wondered how it was that these two looked so young and played so experienced. Needless to say, he was very interested in the group, which he discovered called itself the Allman Joys. Allman was the surname of the two blond brothers, Duane and Gregg, who led the band. Although he'd never produced before, Loudermilk decided to take the group into the studio and cut some sides for them. One of the Allman Joys' sides, "Spoonful," was released locally and sold well. But Loudermilk had already decided to concentrate on songwriting, so he bought the group to Buddy Killen, head of Dial Records. Killen thought the group was quite good, so he has John Hurley take them back into the studio to record more tunes. "They were really way ahead of their times, I realize now," Killen says. "Nobody really understood what Duane and Gregg were all about at the time. Eventually I gave them their release and they went out to California, leaving these tapes behind." 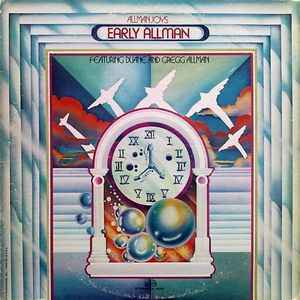 Duane and Gregg Allman went on to form the Hour Glass and the Allman Brothers Band. These are the earliest known recordings of the two now-legendary musicians. Half of the tracks on this album are from the original Loudermilk sessions; the other half are John Hurley produced.